This post begins the Expanding Paradigms Series. In this post we will take a look at the role of Evangelist as Storyteller. Story is what we have. It’s who we are. It’s what Jesus has given us. Evangelist have a knack when it comes to inviting people to live in the kingdom of God, and they are able to excite the people of God to be witnesses. I call them “storytellers” because they tell and share God’s story in such a way that everybody realizes that they’re a part of it – either as villains or heroes. They want to help people to become heroes. Evangelists help the church to proclaim the good news by being witnesses and redemptive agents. They help cultivate a welcoming environment helping the community practice hospitality as a way of life. An important job of the Evangelist is to act as ‘the recruiter’ – the one who brings people on board the Jesus Movement. Telling the story of God is one way they get this done. The Evangelist possesses an unquenchable impulse to share God’s love for the lost to the hurting hearts of the world. We typically see the Evangelist as a public personality who speaks, who tells, who yells and preaches. They know the story of God and they share it loudly, trusting that the spirit of God will awaken a call in someone’s heart to respond. We see this in the Billy Graham model evangelist and in the Bullhorn Man model as well. Today, we need Evangelists to learn a new way of using story to open doors to the Kingdom of God. We need to equip evangelists differently. And it all hinges on what we do with story. There is no place closer to heaven than a book store. Especially for a Teacher. I love books. I have a zillion of them. A ton of them I’ve read, a ton of them I haven’t. There’s time…I’ll get around to them. Maybe, I keep collecting more and more of them. When you walk into a book store (or library) you are surrounded by story, lives, worlds, universes. It’s overwhelming and beautiful if you stand still and think about the paper and type, the words and the grammar, the names and places, twists and turns, mysteries and adventures that surround you. Every page you read, every novel you close, you collect another story. 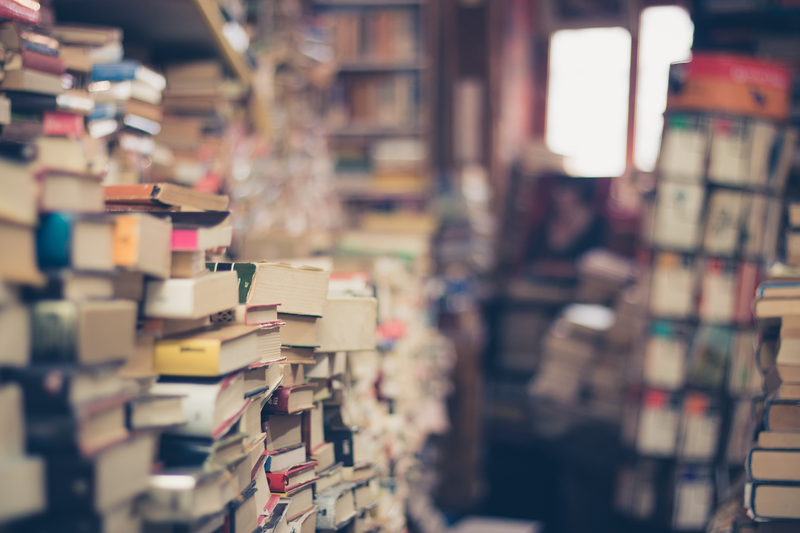 Today, evangelists must become Story Masters: collectors of stories. Not long ago, I went to visit a friend in one those new downtown condo units that are popping up in just about every city in the country. As I was leaving, I took this photo because I suddenly saw it in a new way. I saw the building like a bookshelf. And on the inside, stories. A whole building filled with story after story. Each one waiting to be heard. The new Evangelist must not only marinate in the story of God, but soak in the story of others at the same time. 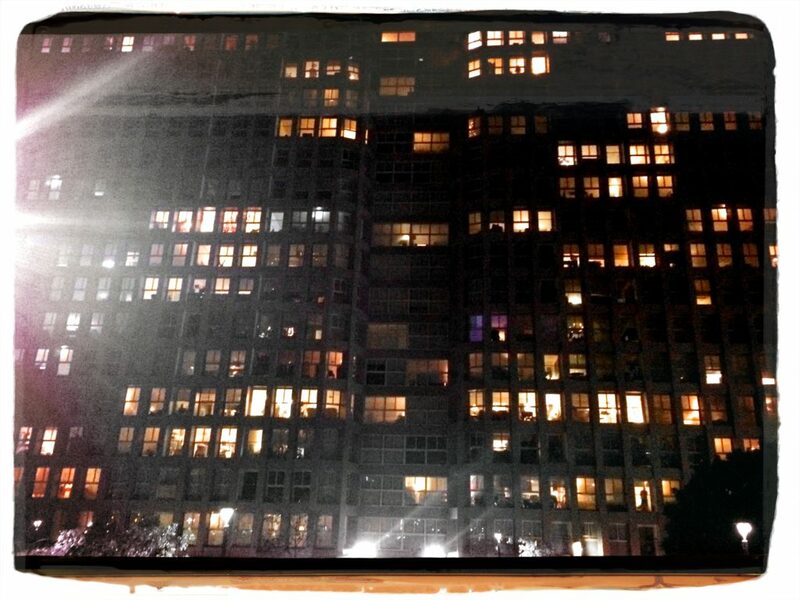 We need story masters who invest their time and attention to learn the stories that each window tells. We need story masters that are themselves a collection of the stories of others – and there is only one way to get them: You have to hear them. Imagine the power of this: You meet a person who has a story that keeps them far from God. You’d could open up a can of Numbers on them, maybe some Exodus on the side, OR you could search your library of stories and help them see themselves in the story of another; the story of someone who has been where they are, who had choices to make, whose life has been powerfully transformed by the power of the Gospel. The story master can help people see where God is already at work in them, help them see further ahead by sharing a similar story from a person that is a little further along. Imagine the ways that the evangelist creates a sense of community for a person long before they have become a part of one. Story connects. Story binds. Story includes. Perhaps that’s why God chose story to reveal his character and desire for the world in his Word. 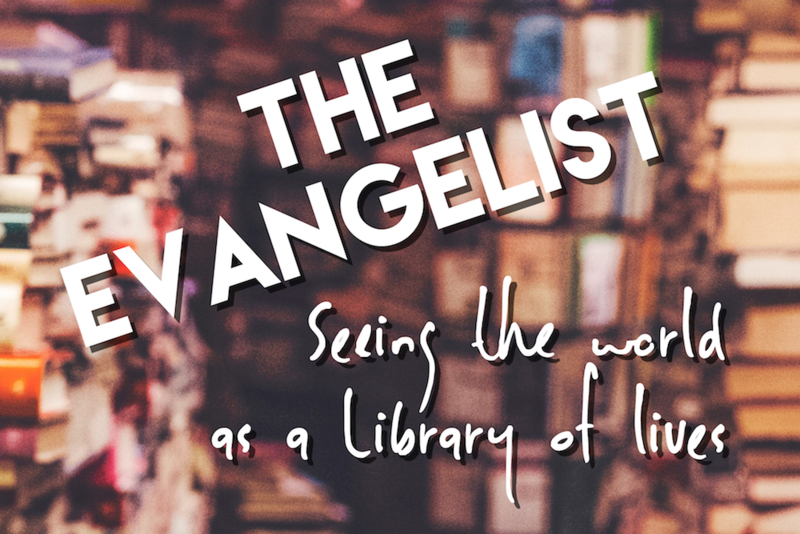 Evangelists need to see the world as a library of lives they can’t wait to read. An evangelist’s calling might be defined by, first, their desire to listen to the stories of the people around them. In the comments below, share how you see story as a frontier for the evangelist. How have you experienced story in life changing ways? Would you consider yourself a master of story? Do you consider yourself an ‘evangelist’?